To me there are two kinds of fans out there, ones that need to be restored, and ones that quite simply do not. The truth is, I passionately pursue the former; fans whose condition is so dismal that they're headed to the scrap yard or the sand blasting cabinet, but certainly no where in between. Recently I had the opportunity to pick up a rusted-out boat anchor of a fan. 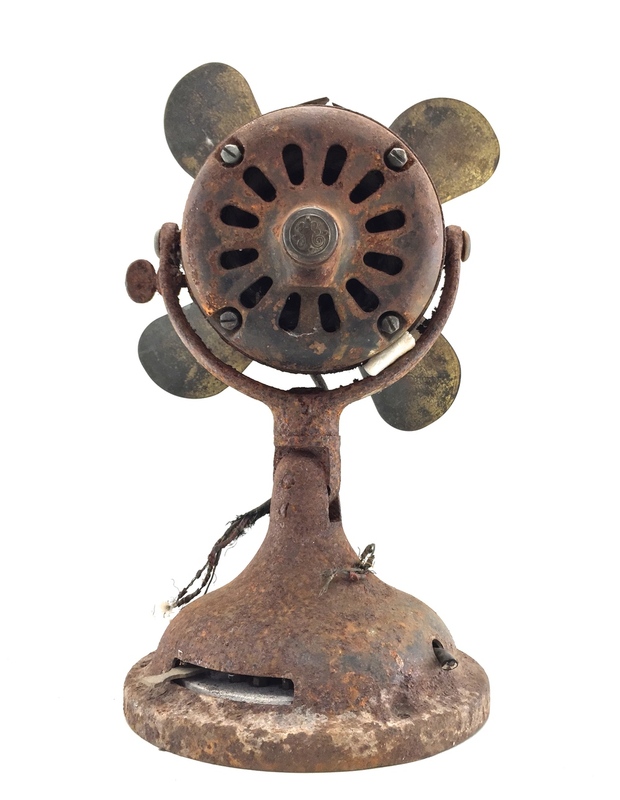 This 1910 GE BMY fan is in horrific condition. In fact it's beautifully horrific. I've never worked on a fan that's in worse condition. But guess what? I'm going to restore this sucker to perfection. This is a short blog but will be one of many. Over the next who-knows-how-long, I'll be restoring this fan from the condition you see it in now to a White Gloves quality stunner. Oh, btw there's some good news, this specimen happens to have a perfectly good winding and speed coil. At least it won't be a re-wind!